This gallery of equipment images is designed to help you identify common types of cable-operated excavators, both past and present. Crawler dragline: Koehring 535. 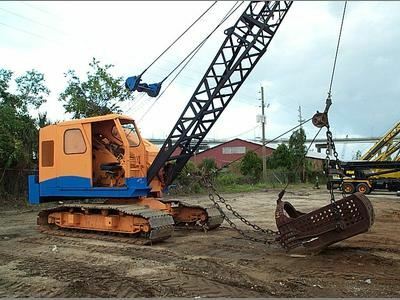 A dragline gets its name by dragging an open-front bucket towards itself when digging. The bucket dumps out the open end when the rear of the bucket is raised.